Do you know of a project that should be promoted in Properties? Fill out our Construction Progress Reports submittal form. 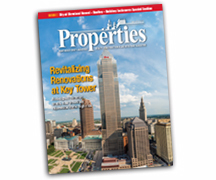 Copyright © 2016 Properties Magazine, Inc. All Rights Reserved.